Traveling with Takashi was a convenient way to see sights outside of Kanazawa. There is much to be said to be guided with someone who understands the train and bus schedules. I suspect it is best to use Takashi as a guide for sights in close proximity to Kanazawa. It was excellent tour with very knowledgeable guide. Takashi. We had 6 people in our group, Mr. Takashi provided explanations and also answered all our questions. Overall everyone had a great time. Very memorable, one of the best tours we had in Japan. We walked thru the city and visited several beautiful parks and other important places in Kanazawa. Thank you very much!!! Fay A.
Takashi was an excellent guide, and his tour to Noto Peninsula and Wajima was well worth the time and effort. His knowledge of the area from a lifetime in Ishikawa Prefecture made for a day filled with unique sights and experiences in this remote part of Japan. We enjoyed his laid back and friendly demeanor. For anyone interested in visiting this unique and remote part of Japan, I certainly recommend Takashi as your guide. Takashi is a gentleman whose English is quite good and whose knowledge and affection for the history and beauty of Kanazawa is quickly apparent. We knew little about Kanazawa. Takashi assembled a list of his must-see places as well as a visit to a gold foil workshop where we learned how gold foil (a craft Kanazawa is renowned for) is made. We learned a lot about Kanazawa in our one day with Takashi; we heartily recommend him to Kanazawa visitors. Takashi was very friendly, knowledgeable and accommodating. He made sure we had the tour of Shirakawa-go that was just right for us. He can speak to anything , from Japanese history to methods of construction. He was able to answer all of our questions. He truly enjoys being with people and has a good sense of humor. He has a passion for his work and is easy-going at the same time - a winning combination! Our guide was informative, responsive to our interests and flexible. He used a small album of photos to illustrate cultural references such as the design of the entrance gate at the rail station. He found a typical Japanese cafe at the fish market for our lunch. He did a great job of making us feel welcome in Kanazawa. Highly recommended. Takashi was very helpful and ensued that all our needs were met. He showed us the places we wanted to see and gave us interesting information about them. He pre-booked an extra experience for us and did everything to make our tour comfortable and pleasant. Many thanks! Takashi was an excellent tour guide for our day on the Noto Peninsula and in Wajima. He communicated thoroughly prior to meeting us early in the morning and was friendly and courteous throughout our long day together. He answered our questions with a good command of English. I would not hesitate to recommend Takashi to other travelers. Takashi is a master tour guide! We were able to visit most of the tourist locations that I was interested in with plenty of time to spare for some extra sight seeing! The gold lead workshop, ninja temple, and just walking the streets of two different geisha districts was amazing. Having grew up in the area, Takashi was very knowledgable about the history and was able to answer all my questions. He is also very energetic and did not tire as we wandered all over Kanazawa! I would highly recommend this tour! Takashi gave us an excellent tour. He new his way around and maximized our time with our interests. Highly recommended. Day 3 of tours with Takashi. He was still pleasant, clear and found many interesting things for us to see in his home town. We couldn't have done it without him! He deserves a day off! I rate him 5 stars, I don't know why that rating won't show. Takashi was very knowledgeable about how to get to Shirakawago and on to Kanazawa. He knows his sight information and was willing to adjust to our needs. Awesome. Takashi was punctual, interesting and lead us to places it might have been difficult for us to find on our own. He was clear about setting up our tour plans for the next day. Excellent guide. Takashi was a terrific guide. He was thoughtful, prompt, through, and knowledgable. He was also extremely helpful in organizing a day trip outside of Kanazawa. Would absolutely recommend him. Went far beyond his job description. Our group Got lost and missed our bus and thus missed our connection to Takayama. But he offered to take us there later in the day though it meant the tour and his time will be way over the schedule. Would highly recommend him for providing an excellent service. We customized a half day, private tour in Kanazawa and Takashi was a fabulous guide. His knowledge of the area enhanced every place that we visited. His ability to navigate transportation allowed us to see many more places than anticipated. Thank you Takashi. We give a 5 star rating for our guide Takashi in Kanazawa Japan. He did an excellent job. TOUR GUIDE RESPONSE: Dear Mrs. Evelyn Moschetta, Thank you very much for hiring me as your tour guide of Kanazawa. Thank you very much for giving me 5-star rating to my tour guide service. It was unusually cold day in mid-March. But, we were able to visit many places. I am sure it was a wonderful and memorable tour for you and your party. Thank you very much for including Kanazawa in your tour itinerary of Japan. I was born and brought up in Kanazawa. I am proud of my home town as one of the historic cities in Japan. Takashi. We couldn't have done a trip like today alone. Takashi was a very knowledgeable and caring guide. He made our visit to Takeyama and Shirakawago interesting and carefree for us. We would certainly recommend his guidance. Takashi met us early at our hotel and was prepared. He planned a full day between the garden and Old Castle, samurai and geisha districts, and a fantastic lunch at the market. He was knowledgeable and accommodating and made our stay in Kanazawa extra special. Highly recommend! My son and I had and outstanding tour in Takayama with Takashi. He really guided us to see a lot in one day, and we are enriched from the experience. He knows every corner of the area -- a true expert. Knowledgeable, polite, and efficient, Takashi did a great job of guiding our family of 3 on a half day tour from Kanazawa to Shirakawa go on a rainy day. He speaks excellent English so communication was absolutely no problem. Prompt pre-tour communication. A fax reminder was waiting at the hotel at the check-in. I would definitely use his service again, should we return to this region. Takashi was a great tour guide - very knowledgeable and friendly. He tailored the tour based on my interests and gave great suggestions on other things to do while in Kanazawa. Takashi provided a full and complete day, visiting an older traditional Geisha neighborhood, a gold leaf workshop, Kanazawa Castle, Kenrokuen, Omicho Market, sushi lunch in the market, a restored Geisha House, the Samurai Residence District, and another newly restored garden, and temple grounds. He was friendly, knowledgeable, and pleasant to be with. 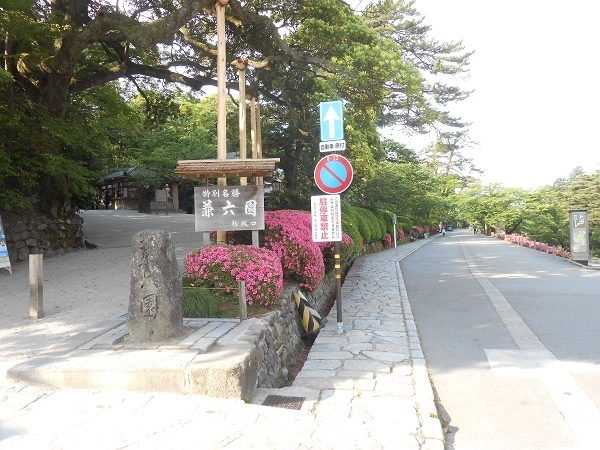 He had explanatory visual material related to interpreting elements of Kenrokuen Garden. I enjoyed visiting Kanazawa and his tour added to my enjoyment. Takashi was a knowledgeable, friendly and experienced guide. Thoroughly enjoyed the trip to beautiful Shirakawa-go. Thanks Takashi! Wonderful tour. Guide is very knowledgeable about all aspects of the places he showed us and made getting around the city much easier.His insight made the tour of Kanazawa castle, the gardens and samauri district much more interesting and fun. Our family learned a great deal more than if we had walked around by ourselves.Would highly recommend this guide ! Our Tour guide Takayashi was very kind, patient and very good. We really enjoyed our day. The whole trip was very informative. We saw easily twice as much having Takashi guide us. He knows just where to go and what to see when you get there. Highly recommended. Takashi was a great guide. He was able to fit in the specific items that I particularly wanted to see and he gave very thorough descriptions. He is a good communicator. I also enjoyed riding the loop bus like the locals and appreciated that he was willing to let me experience it. Takashi-san is a professional tour guide. He is knowledgeable and took care of us (9 persons) well. He helped to book seats for bus trip, and kind enough to help us rearrange the trip back with earlier bus schedule. He also recommended a nice place for lunch. I'd recommend anyone who wish to have English spoken tour guide to take his service for Kanazawa/Shirakawago tours. The second day with Takashi was as enjoyable as the first one. He convinces by his knowledge and his experience as well as through his modesty. Takashi is a very professional and kind guide. He masters the topics, respects the time table and is willing to go the extra mile to please his clients. A most enjoyable experience. TOUR GUIDE RESPONSE: Dear Max Kaufmann, Thank you very much for your very nice comment on my tour guide service. I appreciate your kind cooperation.I am very much happy to know that you and your wife really enjoyed Kanazawa. It was a fine day, and we had nice walking in Kenrokuen garden, one of the three famous gardens in Japan. Takashi was extremely well prepared with a photo book helping to explain his commentary. We visited the best possible and most interesting sites in Kanazawa from the beautiful Kenrokuen Gardens, Kanazawa Castle, Castle Gardens, Samurai residences, and gold leaf store. Takashi explained in detail the various aspects of the history and importance of each location. Be sure to visit Kanazawa and have Takashi as your guide. My wife and I had a great walking tour provided by Takashi. He was very knowledgeable and the route was constructed thoughtfully. Takashi modified the day to suit our needs and given the day of our tour was very warm, he provided water and ensured we had plenty of breaks throughout the day. Overall, we had a great day with Takashi. Takashi-san is a knowledgeable and professional. For the day tour, he brought us to unbeaten path within the heritage site. Recommended local restaurants which offer value for money meals. We enjoyed our tour very much. Takashi knows his home town of Kanazawa really well and he did a wonderful job of getting us around all the major sights in a day. His insights into the history and culture of Kanazawa made the day more informative and enjoyable. I give Takashi 5 stars. He was excellent in his knowledge of Kanazawa. We enjoyed touring with him. We wanted an in-depth tour of Kenrokuen garden because we had felt rushed on a previous trip. Takashi did an excellent job of explaining the elements of the Japanese garden, the history and stories, all of which helped to bring more meaning and enliven the experience. We also gained an appreciation of the caretaking of the garden. We chose to spend the entire time in Kenrokuen and the castle gardens. A perfect day. Takashi is very knowledgeable and well prepared. We thoroughly enjoyed our tour with Takashi. He was extremely knowledgeable and adjusted the tour to accommodate what we wanted to see and the sites we had seen the previous day. TOUR GUIDE RESPONSE: I am Takashi. Saicho? We visited Gyokusen-en in the morning, and Ninja temple in the afternoon. These places were all reserved in advance by me according to your request. You enjoyed tea ceremony very much. Thank you for paying my tea ceremony cost and Ninja temple admission fee. It is one of the best tea ceremony in Japan. You mentioned new shrimp. But.we didn't visit Omicho market. It was a privilege to have Takashi-san as guide - knowledgeable, responsible, flexible, energetic, happy to go any number of extra miles needed to meet one's requests. It was a privilege to have Takashii-san as guide - knowledgeable, responsible, flexible, energetic, happy to go any number of extra miles needed to meet one's requests. Mr Takashi was a fantastic guide. We learned a lot about Shirakawago, Gokayama and Kanazawa. Mr Takashi went the extra mile to make our trip a memorable one. We highly recommend Mr Takashi to everyone to wishes to enrich his travel experience. Takashi has left really excellent impression. It was smoothly going tour without time pressure and excessive physical demand. My 9 y.o. son was able to keep up throughout the whole journey. Mr. Takashi has planned our excursion of Kanazawa in such way that everyone's interests were satisfied. I'll highly recommend Takashi to everybody who wants to explore this beautiful historic town. Takashi is one of the best guides I have ever had. I had an excellent day visiting the beautiful sites of Kanazawa and thoroughly appreciated his detailed descriptions. Takashi is wonderful. He has so much knowledge and his English is exceptional. Our group could not have been happier. He went above and beyond his remit to give us all an inciteful and exciting day. This along with his great sense of humour made for a special time in kanazawa. Thank you Takashi! Takashi is determined to fulfill all of the wishes of his clients. He knows the best places to go and how to get there quickly and efficiently. He has good knowledge of Kanazawa and is super polite - he is a true gentlemen. TOUR GUIDE RESPONSE: Dear Scott, Thank you very much for evaluating me as the highest star. I am happy to learn that you enjoyed Kanazawa tour. We visited many workshops of traditional arts and crafts. We used a bus and a taxi. We also walked a lot because you were good walkers. Intense shower hit us suddenly when we were at Nosaku lacquerware shop. these are all good memories for me. Thank you very much again. Takashi. A native resident of Kanazawa . Takeshi knows the city inside and out. Very friendly and accommodating . Takeshi took excellent care of us! We highly recommend his services. Takashi is a very pleasant person and tried to please us, but his English is very poor and not only could we not understand him, he seemed unable to understand our questions and could only provide what seemed like pre-prepared facts about the locations we visited. Again, Takashi was a very warm and caring man and put forth a lot of effort to make things run smoothly. The English was the problem. Takashi was a wonderful guide and we had an excellent day visiting Shirakawag, Gokayame and the woodworking town. After we returned he even took us to the information booth at the train station to get us directions to see other things in Kanazawa. He went beyond what we expected. Wonderful day, Our guide was very good and gave us a insite into the history of the region. We had a fantastic time. Very knowledgeable, and friendly! I enjoy this tour a lot! Takashi is an excellent guide, he is very knowledgeable, he love his work. we spent a whole day with him from 9am to 5pm. We were interested in Japanese pottery - he changed his regular itinerary to accommodate us. He was willing to repeat the information to make sure that we understood it. Highly recommended. We had a wonderful time with Takashi. Even before our trip he was helpful and responsive to multiple email questions.As a guide he was prompt, patient and amazingly knowledgeable. There wasn't a question we asked that he didn't know the answer to. He was also very flexible about arranging the schedule to our interests, and generous with his time. He was very helpful in dealing with my elderly parents who accompanied us and who needed additional care and attention. We recommend him unhesitatingly. We had a wonderful time with Takashi.Even before our trip he was helpful and responsive to multiple email questions.As a guide he was prompt, patient and amazingly knowledgeable. There wasn't a question we asked that he didn't know the answer to. He was also very flexible about arranging the schedule to our interests, and generous with his time. He was very helpful in dealing with my elderly parents who accompanied us and who needed additional care and attention. We recommend him unhesitatingly. TOUR GUIDE RESPONSE: Dear Debbie Fleischman, Thank you very much for your highest rating to my tour guide service in Takayama. I am happy to know that you and your family enjoyed the tour of Takayama. Takayama was crowded with tourists both domestic and abroad due to the Bon season,family cemetory visiting period. But, I am sure you have many nice memories to bring back to your home. I really appriciate that I was able to meet your wonderful family to guide in Takayama. Regards, Takashi M.
We had a very nice day with Takashi. As we were travelling with 3 little children, Takashi was very accommodating and patient. We got a great sense for the area. TOUR GUIDE RESPONSE: Dear Adrian Kister, Thank you very much for your highest rating for my tour in Kanazawa. Kanazawa is really a beautiful city, and I appriciate that you picked up Kanazawa as one of your visiting places. Unfortunately It was a rainy day, but I am very much happy to know that you enjoyed the tour in Kanazawa. Thank you very much once again. Regards, Takashi M.
We had a wonderful day with Takashi. I had some mobility issues so he slowed the pace for me and ensured I was comfortable at all times. A very kind gentleman who made us feel welcome. He was very knowledgeable and we learnt a lot about Japan. We really enjoyed his explanation of the meaning of the features in Japanese gardens. He took us to a great place for an excellent , well priced Japanese lunch. He tailored the day to suit us and we would not hesitate to use him as a guide again. We had a fabulous day with Takashi-san in Kanazawa! Arriving by bus at night, we were a little disconcerted that Kanazawa was much bigger and modern than we had anticipated; however, Takashi had us all convinced by the end of our 8-hour tour that Kanazawa is a must see city when traveling through Japan. We had a long list of sites to see, and Takashi hit all of our requests and squeezed in a few of his favorite spots as well. He never slowed down and was as upbeat at 5:00pm as he had been at 9:00am. Thx!! TOUR GUIDE RESPONSE: Dear Kara Roche, Thank you very much for your highest rating to my guiding service in Kanazawa. I also appriciate that you highly recommend Kanazawa, my home town as a must for tourists. Kanazawa is really a beautiful city, and has one of the best gardens in Japan. I am very happy to know you and your family enjoyed Kanazawa. I express my gratitude for your generous token for my guiding service. Thank you very much. Regards, Takashi M.
Very nice man , very reliable ,but his English is not good enough . TOUR GUIDE RESPONSE: Most my customers have said during my tour guiding that " Your English is very good". " How do you learn English ? ". Sorry for your dissatiafaction. I try my best to make my guiding tours memorable and enjoyable. TOURSBYLOCALS RESPONSE: Thank you for your comments Dan, in order to assess Takashi's English skill level, I ask all travellers interested in tours with him to watch the video he uploaded to his profile, that will give you a good idea of how he sounds. TOUR GUIDE RESPONSE: I am very happy to know that you and your family enjoyed the tour in Kanazawa. Thank you very much for your kind cooperation. I had very busy days in April and May. So, please forgive me for my delayed email to you. Thank you very much.From Takashi. The best guide we have ever had, funny, kind. And informative. A must to help you around Kanazawa! Takashi was very professional and friendly. He accomodated our busy schedule. We would highly recommend Takashi for a Guide. Thank you from the Ridge family. TOUR GUIDE RESPONSE: I am very happy to hear that the Ridge family had a momorable and enjoyable tour in Takayama. It was a fine day even in winter. We were able to visit many places. Thank you very much for your heart warming comment on my guide service. It encourages my guide service very much. From Takashi. Takashi was able to enhance our experience and understanding, and was very responsive to our areas of interest. He comes highly recommended. Takashi knows the places well as he came fully prepared with photos and facts on all the places of interests that he brought us to. He was also very flexible to adjust the sequence and places of visits to suit our needs. He is highly recommended if you are looking for a local tour guide to visit Kanazawa and Shirakawago without a vehicle. Excellent tour; a great way to see Kanazawa. Takashi was very knowledgeable and accomodating. The tour was designed with our interests in mind. He even added an extra location at the end of the day -- a very interesting pottery establishment. After touring with him for the day, we felt comfortable going around Kanazawa on our own the next day to visit a few additional sites. We felt he rushed us a bit through the gift shop areas of the businesses we visited, but overall we were very happy with the tour. TOUR GUIDE RESPONSE: I am very much happy to know that you've enjoyed Kanazawa. I will do my best to fulfill customers' desire. Thank you very much. From Takashi.